Arnold Palmer Invitational is set for March 15-18th at the Bay Hill Course in Florida. Did you know Tiger Woods won four years in a row at Bay Hill from 2000-2003? This was one of only four occasions that an event was won four consecutive times on the PGA tour. Woods also won the 2008 & 2009 tournaments both times with birdie putts on the final hole. 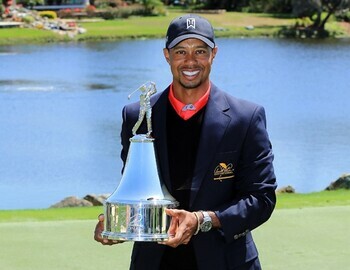 Woods also won the tournament in 2012 & 2013.